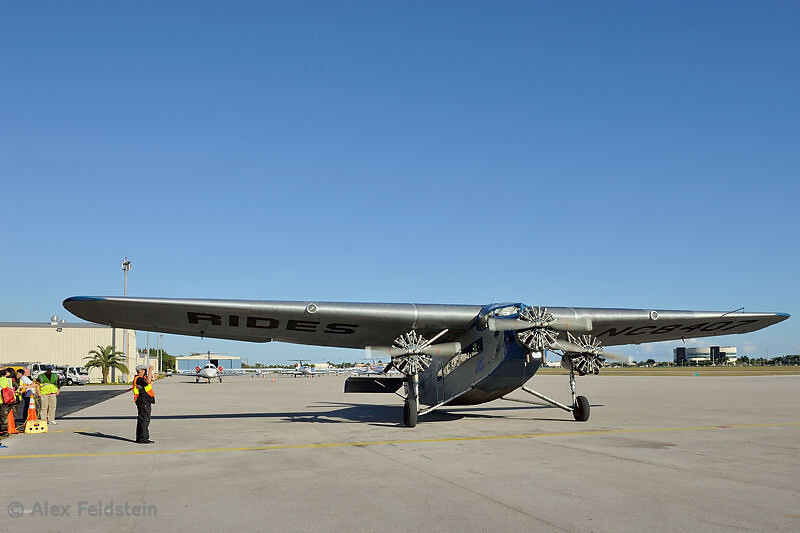 A completely restored Ford Trimotor built by Ford Motor Corporation in 1929. It served the Miami-Havana route for the predecessor of Eastern Airlines in 1929-1930. It was then sold to Cubana Airlines' precursor and for several years it carried passengers in the Havana-Santiago de Cuba route. Later on it was sold to the Dominican Republic where it became the presidential aircraft in the 1940s. Much later, the EAA bought it and undertook a complete 2-year restoration project to bring it back to life in its original form. Most of it is original except the refurbished Pratt & Whitney engines and new instrumentation. Note: these are low-res, web-sized images, not suitable for printing. They are copyrighted by Alex Feldstein and not to be displayed anywhere else without Mr. Feldstein's permission. If you want to discuss licensing and get print-quality originals, please contact me.